I’ve had a few people who cant seem to find the combined video on how to add an iTunes gift card to your iPhone or iPad, so I have made two separate videos on how to do so. Step 1.Open App Store and make sure your have an internet connection. Step 2.Scroll to the very bottom of the App Store and press Redeem. Step 3.Scratch the grey sticker on the back of your iTunes card and enter the code in the redeem code section on your iPhone. Step 4.Press done then press Redeem and you will be prompted for an Apple Id. Step 5.Enter the Apple Id that you want to redeem the code to and you are done!!! 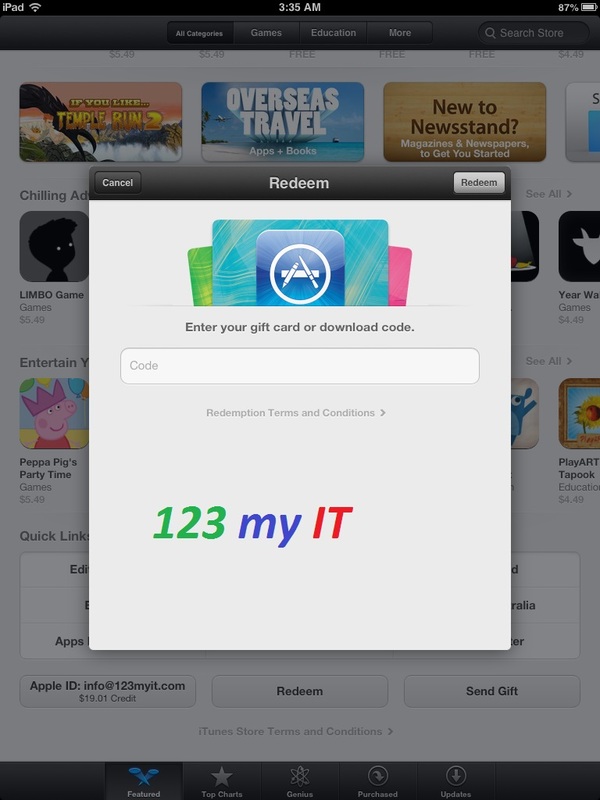 Step 3.Scratch the grey sticker on the back of your iTunes card and enter the code in the redeem code section on your iPad.